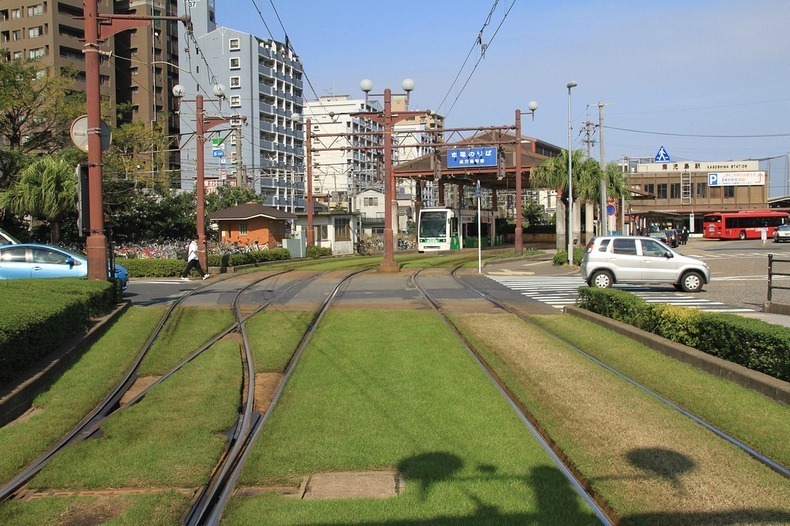 Tram tracks on many European cities are lined with grass, a practice that probably started in the 1980’s to bring greenery back to city space and at the same time, provide habitable zone for numerous insects and invertebrates. These swaths of green provide a host of benefits to any urban area, like reduce urban heat island effect, provide a permeable surface for storm water to infiltrate, reduce pollution and absorb noise generated by the grinding of metal wheels on metal tracks. Not to mention, they look incredibly good in comparison to concrete or asphalt.